The Athletic Edge and Medco Sports Medicine announce sales and marketing arrangement. Together, providing a complete line of athletic training room equipment with exceptional quality and value. Watertown, S.D., October 1, 2015 — The Athletic Edge, by Pivotal Health Solutions, a leading manufacturer of premium quality health and wellness equipment for over 20 years, proudly enters a sales and marketing distribution arrangement with Medco Sports Medicine, a leading provider of supplies and equipment to athletic trainers, sports medicine professionals, strength and conditioning coaches and school nurses across the country. The Athletic Edge, a branch of Pivotal Health Solutions, has more than 20 years of experience manufacturing wood, laminate and steel products. Pivotal Health Solutions has also been supplying schools, students, professionals and teams with quality products in the therapy, massage, spa, medical, chiropractic and now athletic training markets.Under this arrangement, Medco Sports Medicine will immediately begin to integrate The Athletic Edge product line into its extensive Sports Medicine portfolio. Medco is an industry leader, bringing you the most comprehensive range of products and services available to keep your students and student athletes healthy and injury free. 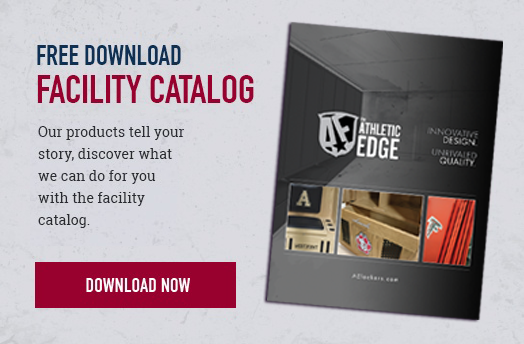 The Athletic Edge takes great pride in the revolutionary new product line featuring athletic trainer’s tables, taping stations, exam and treatment tables, mat platforms, split leg lift tables, leg and shoulder therapy tables, cabinets, lockers, stools and custom branding solutions. Pivotal Health Solutions continues to stay on the cutting edge of product innovation in the sport medicine market. This arrangement will help further those endeavors. Medco Sports Medicine was established in 1955 and has grown over the past 60 years to become the industry leader in Sports Medicine. Medco Sports Medicine is a privately held company located in Tonawanda, New York. The addition of The Athletic Edge to the Pivotal Health Solutions family of companies and brands creates one of the largest, most innovative and diversified health and wellness product providers. Pivotal Health Solutions is a privately held company located in Watertown, South Dakota; with manufacturing sites in South Dakota and Eugene, Oregon.